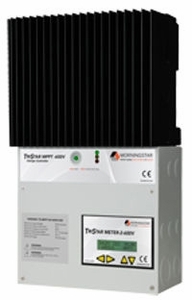 The Morningstar TS-MPPT-600V-48 is designed to handle much higher string voltages than traditional charge controllers. Because it can handle up to 600 volts open circuit (Voc) solar input, that means you can cut down on your installation time and costs. By using a high voltage string, you can use smaller wire to complete the installation and use a smaller combiner box. 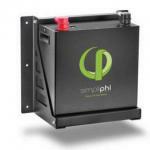 The unit is designed and factory preset to work only with 48 volt battery banks. It has one of the best conversion efficiency ratings in the industry and optimizes battery health with its advanced four stage charging algorithm. It also has built in electronic protection against lightning and transient surges. 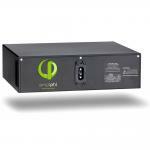 For off-grid PV systems with 150VDC or greater open circuit voltage (Voc) and long wire runs, this charge controller is perfect. Dimensions 15.4" x 8.7" x 5.9"